Legislation gaining momentum in Congress could trigger more community bank mergers by allowing smaller institutions to carry more debt. More than 300 community banks could make more loans and acquire other lenders under legislation (H.R. 4771) that passed the House last month and is included in a broader, bipartisan Senate regulatory relief package (S. 2155) for small and mid-sized banks. The bills would lift the asset threshold in the Federal Reserve’s Small Bank Holding Company Policy Statement to $3 billion from $1 billion, the second increase within four years. The threefold increase would allow higher levels of debt for 332 bank holding companies with assets between $1 billion and $3 billion according to third-quarter 2017 data from the Federal Financial Institutions Examination Council (FFIEC). Doug DeFries, CEO of Bank of Utah, says a higher asset threshold would free up more capital for lending. The $1.2 billion Ogden lender could also potentially expand operations. Consumer advocates say acquisitions are sure to follow if the Fed policy statement is altered by Congress. The current Fed policy statement permits bank holding companies with up to $1 billion in assets to operate with higher levels of debt. This allowance recognizes that acquisition debt is often required in the transfer of ownership between small banks, which have less access to equity financing than their larger counterparts. A 2017 Trump administration report on bank deregulation called for raising the asset threshold to $2 billion. It also acknowledged small institutions are often sold to other small institutions. “Small bank acquirers need the financing to make these acquisitions,” the June 2017 Treasury Department report said. H.R. 4771 reaches further and would lift the asset threshold to $3 billion. The bill sponsored by Rep. Mia Love (R-Utah) passed the House 280-139 on Feb. 8, with support from 50 Democrats. A similar provision is part of Senate Banking Committee Chairman Mike Crapo’s (R-Idaho) bank regulatory relief package, which has support from at least a dozen Democrats and is expected to see a Senate floor vote in March or April. The Fed policy statement on holding company debt was first issued in 1980 by the bank regulator. The 2010 Dodd-Frank Act said Congress must approve any increase to the threshold. The Fed declined to comment on the current legislative proposals. But former Chair Janet Yellen told Congress in July 2017 that the Fed was willing to look at raising the asset threshold to $2 billion, the level recommended in the Treasury report. The Fed already doubled the asset threshold from $500 million to $1 billion in April 2015, implementing a law enacted four months earlier. That move allowed 515 additional lenders to operate with higher levels of debt. 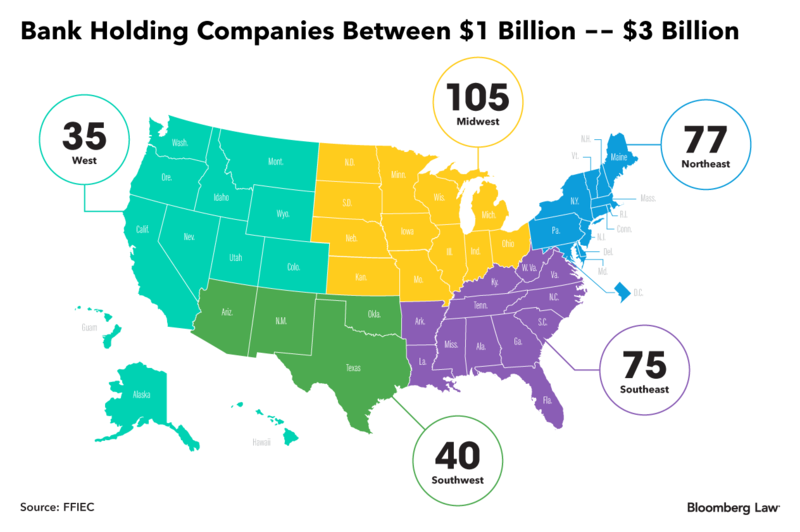 Stanley said drawing the line at $1 billion is appropriate “because there’s an argument that community banks under a billion in many cases might not have achieved economies of scale.” But $3 billion in assets “is not small for a community bank,” he told Bloomberg Law. Lawmakers opposed to H.R. 4771 said policymakers haven’t had sufficient time to evaluate the impact of the 2015 asset-level increase. 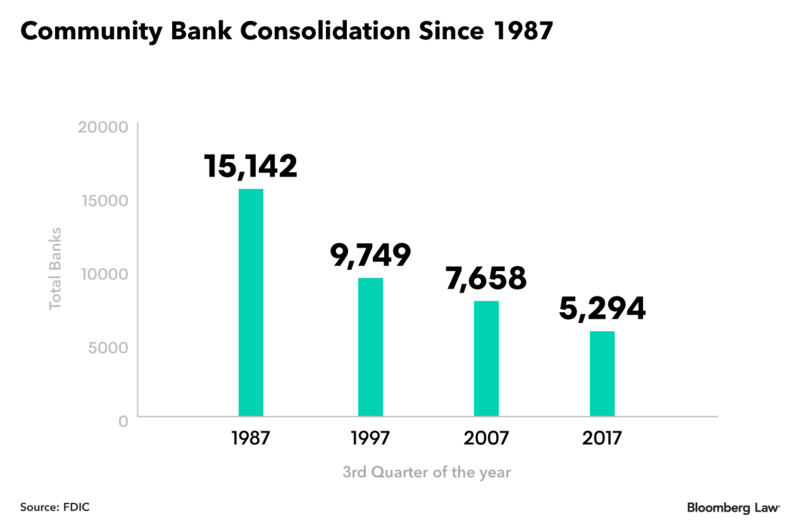 An increase to $3 billion could “exacerbate a trend that’s been occurring for decades stretching back to the 1980s, a trend toward fewer community banks,” Rep. Daniel Kildee (D-Mich.) said during the House Financial Services Committee’s markup of Love’s bill. The small-bank industry disagrees raising the threshold encourages acquisitions — and, therefore, consolidation. Holding companies would pass proceeds from any debt issuance to subsidiaries “so the bank can use it to lend money and comply with higher capital standards,” according to Chris Cole, executive vice president and senior regulatory counsel for the Independent Community Bankers of America. The 2017 report on deregulation said the Trump administration “strongly supports” efforts to create new banks. That sentiment was echoed by Jelena McWilliams, President Donald Trump’s nominee to head the Federal Deposit Insurance Corporation, during her confirmation hearing in January. Stanley argued that letting banks run up more debt by raising the threshold to $3 billion elevates the risk of bank failures during a period of financial system stress. “That’s going to hurt all the well-managed community banks because they have to pay to top up the FDIC deposit insurance fund,” he said.